Note: This is only for connecting to the VPN, not for installation. 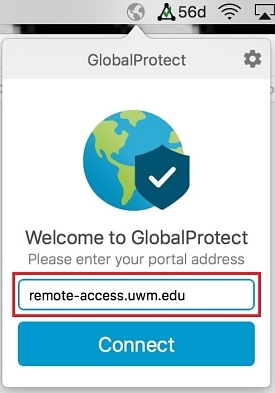 If you have not installed GlobalProtectVPN, please click this article https://kb.uwm.edu/page.php?id=83286 in order to install the vpn on your device. 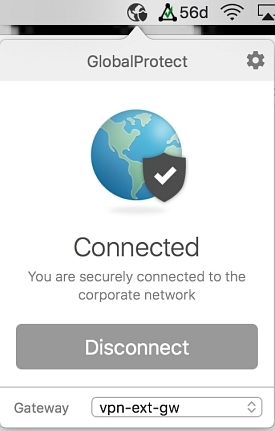 If the globalprotectVPN hasn't been installed on your device, the application will not work. 1. 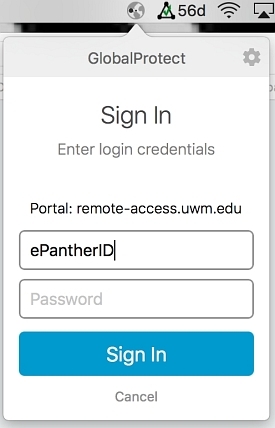 Access GlobalProtectVPN on your Mac device. -Click on Applications, then in the search field type in "GlobalProtect"